Greenery has been having it’s big moment on the wedding scene recently, and rightly so, with the trend being so adaptable to different styles. The way foliage is used within weddings has expanded into stationery, table settings and even replacing traditional bouquets. Foliage can be classed as the main theme, but we are also seeing mini themes within this in the form of ‘Rustic Foliage’, ‘Organic Foliage’ and ‘Modern Foliage’ which shows that greenery can cater for many different tastes. 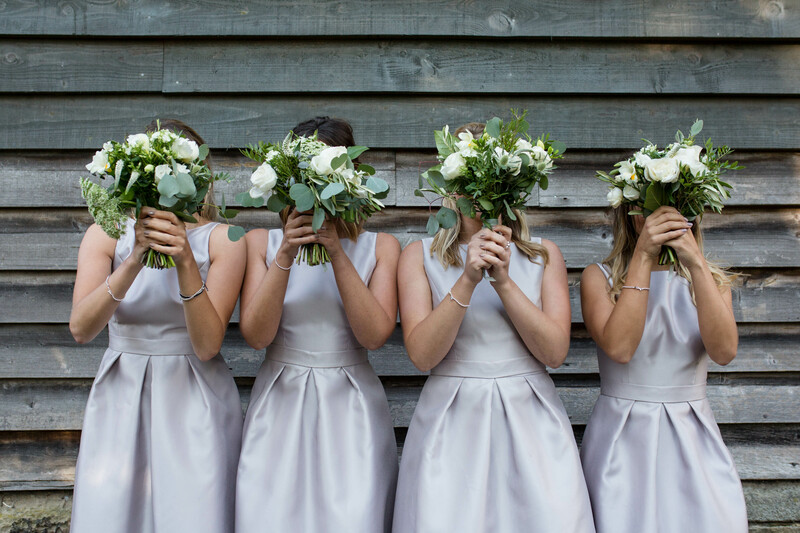 Here at Love Invited we love this trend, especially as we think it can work for both a summer and winter wedding with just the alteration of a few colours here and there. Our ‘Watercolour Flora’ collection reflects this perfectly, we have taken the trend and adapted it to be subtle and versatile depending on what our Brides & Grooms want. All colours & wording on our collection pieces are customisable which means we have made it easy for you to tailor the trend to suit you. 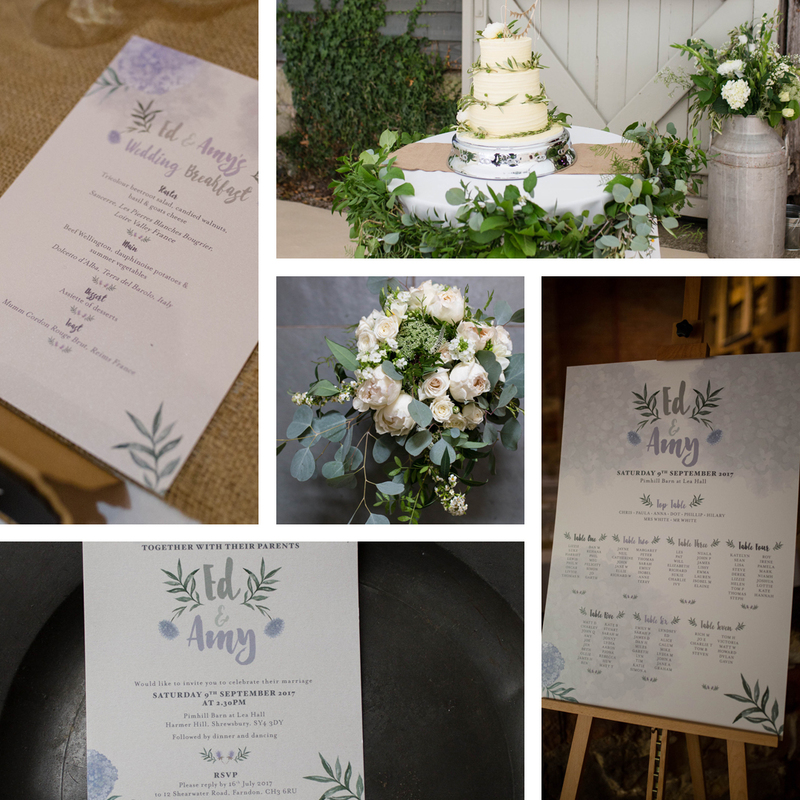 We have recently had the pleasure of working with a lovely couple called ‘Ed & Amy’, who chose our the Watercolour Flora design to compliment their big day. 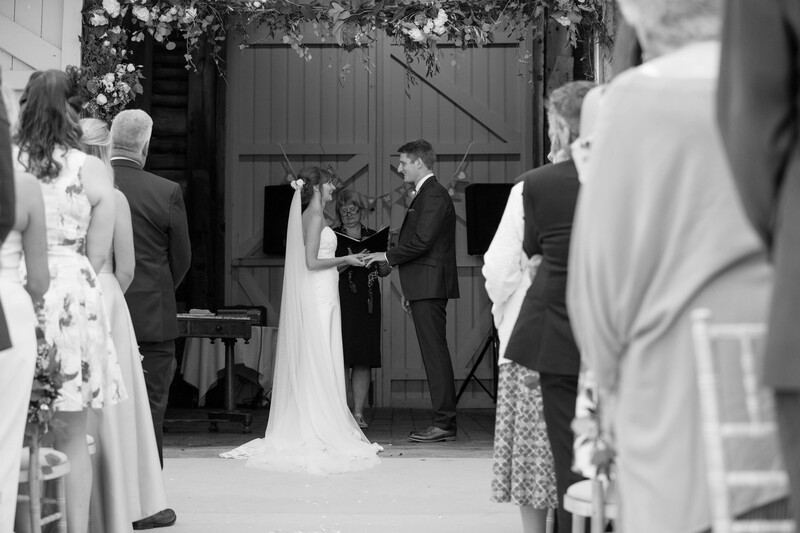 They ever so kindly sent us over their wedding photos so we are able to share with you some lovely snaps from their day, taken by the Talented Nicola Gough. We are thrilled to see this design work so well at their wedding, with the style being complimented by the foliage details in the decor of their venue and even their cake! All photography by Nicola Gough. 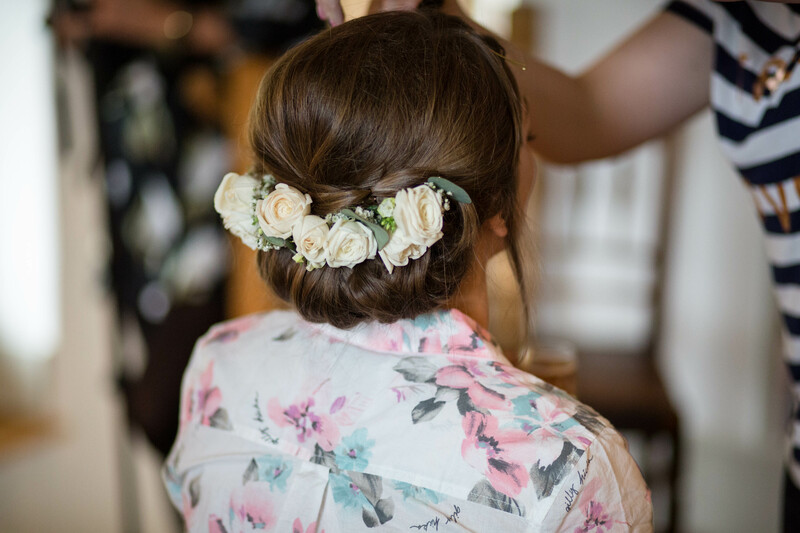 We love seeing our designs come to life at your weddings! For more information on how we can help with your wedding stationery, or even if you would just like to see what we do – head over here!